*We all know those “energy drainers,” says the Christian Post. They are the people that seem to have a perpetual cloud hanging over their heads. They have the keen ability to turn good news into bad news. Yes, they are the kind of people you avoid asking, “How are you?” for fear they will give you an answer. Some are critics. 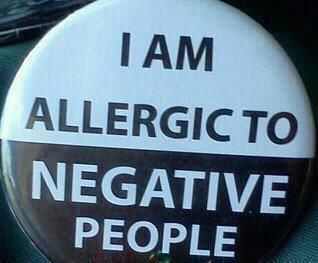 Some are simply just negative people. Previous ArticleBET is Not No.1 in Black Reality Television Programming - Surprised?